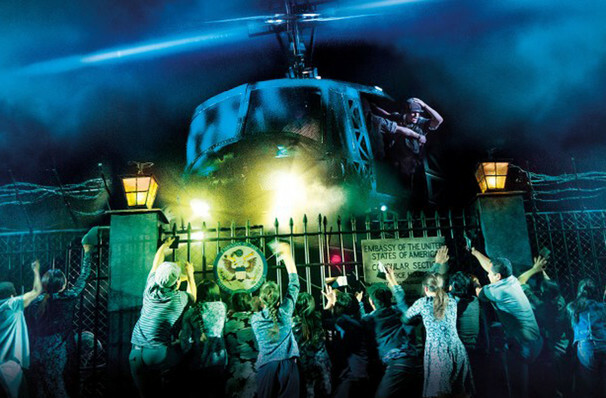 Among the musical theater crowd, Miss Saigon is held as one of the classics of the genre, and has been beloved since its famous helicopter first swooped in 1991. 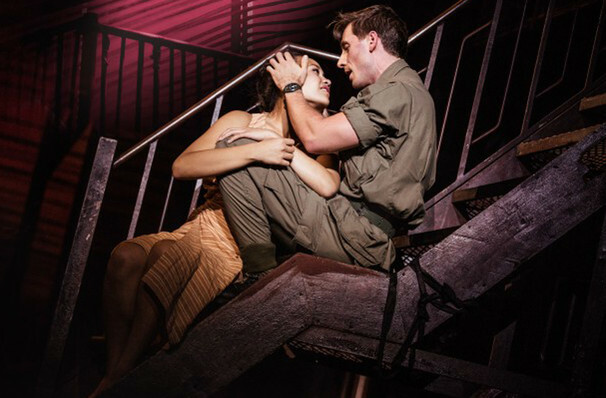 A real juggernaut of a show, Miss Saigon soars once again on a new national tour this year, following its revival on Broadway in 2017. Adapted from Puccini's operatic tragedy Madame Butterfly, it's a stunning love story, a gritty war drama and an all-out cabaret piece wrapped up in one. With impeccable singing and set design working hand-in-hand to bring the hardship and passion of Alain Boublil and Claude Schonberg's legendary musical to life, this incredible 25th-anniversary revival production is an enchanting and evocative theatrical experience, one you won't forget in a hurry.The centerpiece of the show is, of course, the spectacular helicopter scene, which has been thoroughly revamped for this production, and employs a stunning mix of projections, lighting and a to-scale model which descends from the rafters, roter blades spinning! 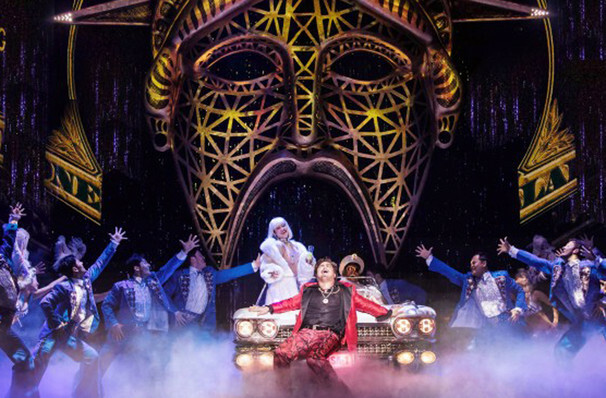 WHAT IS MISS SAIGON ABOUT? 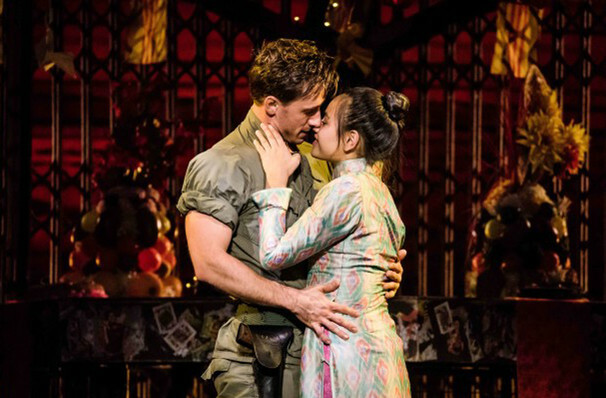 Set in the final days of the Vietnam War, Miss Saigon charts the burgeoning romance of an American GI, Chris, and a vulnerable local girl, Kim, who works in a steamy Saigon go-go bar. From the moment they meet, Chris is immediately drawn to her, determined to protect her from the horror surrounding them. After spending the night together, Chris and Kim realize they cannot ignore how strongly they both feel and pledge their love to each other. However, not even their love is enough to keep the Vietnam war at bay forever, and when Saigon falls, Chris is forced to flee the country. Kim awaits Chris' return for years - but he has since found a new wife back in America. Will Chris return to Kim, or abandon the life they created to the mercy of the Vietcong? Sound good to you? Share this page on social media and let your friends know about Miss Saigon at Andrew Jackson Hall. 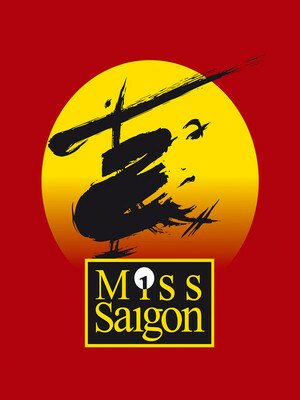 Please note: The term Andrew Jackson Hall and/or Miss Saigon as well as all associated graphics, logos, and/or other trademarks, tradenames or copyrights are the property of the Andrew Jackson Hall and/or Miss Saigon and are used herein for factual descriptive purposes only. 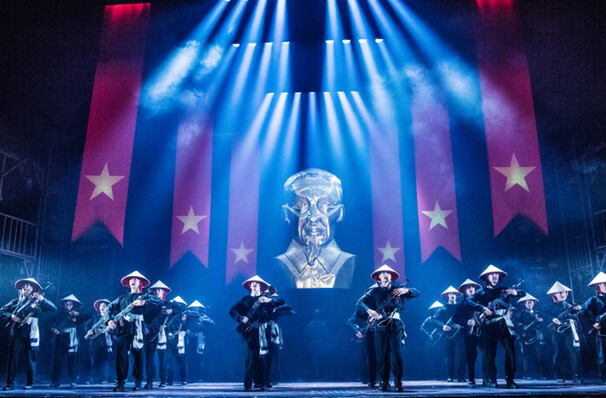 We are in no way associated with or authorized by the Andrew Jackson Hall and/or Miss Saigon and neither that entity nor any of its affiliates have licensed or endorsed us to sell tickets, goods and or services in conjunction with their events.